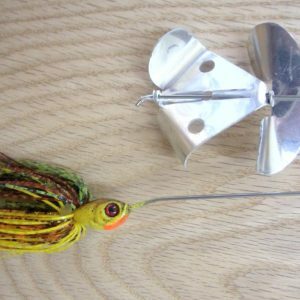 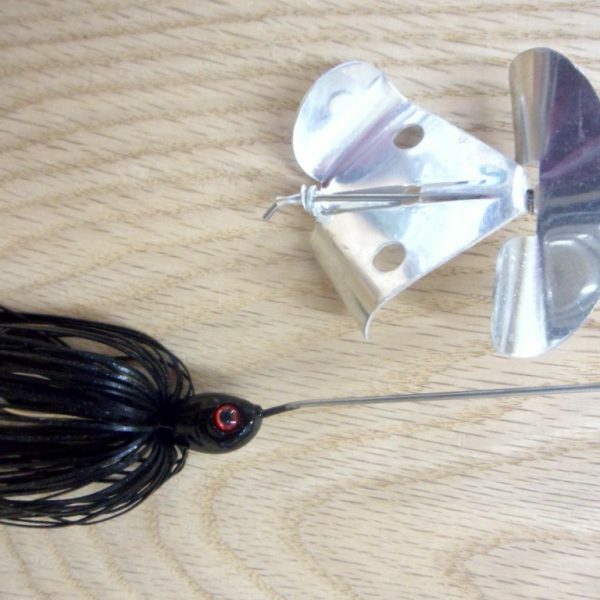 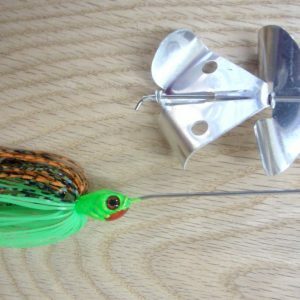 The Mega Chomp Double Chomp Buzzbait utilizes 2 counter rotating blades to create the noise and bubble trail that drive fish to bite a buzzbait. 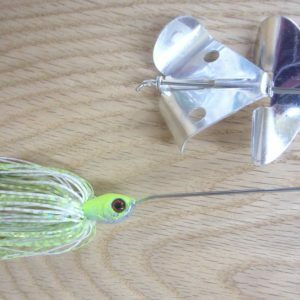 Between the 2 blades and the aluminum rivet and excluding the beads that others use to separate these blades, we’ve created 3 points of aluminum on aluminum contact, all working against each other to put off more squeak than any other buzzbait. 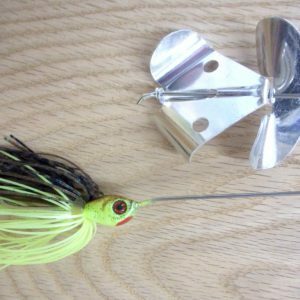 The Double Chomp comes to the top with ease and stays there during a slow retrieve! 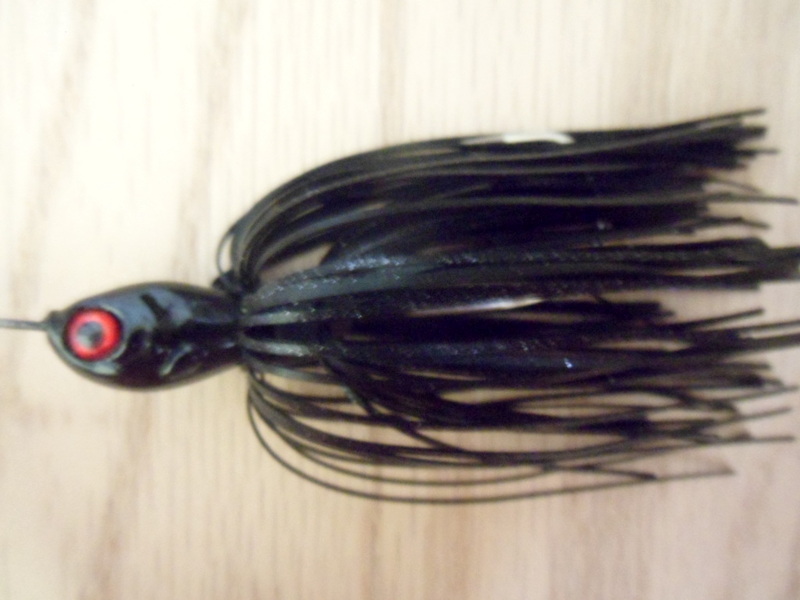 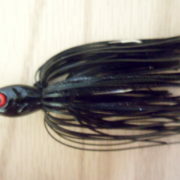 Be the first to review “Double Chomp Buzzbait in Black” Click here to cancel reply.